I think today is national Kale day, or “they” are trying to make it national kale day or something like that? Whatever. I’m such a sell out. I have totally jumped on the “kale bandwagon”. Wait- is there such a thing as a bandwagon for kale? I guess so. And for all of you kale haters, let me just remind you (um, like for the 10th time) that I used to hate kale. (Until I discovered it raw that is) Now I am a believer. A couple of weeks ago when I was in NY with Pete and we went out to lunch at a Italian restaurant in the meatpacking district called Barbuto, I ordered one of the best kale salads ever. I don’t remember what it was called, but this is my version of the salad. I have made it four times in the 10 days we have been back. To make anything 4 times over in this household, it is a favorite. 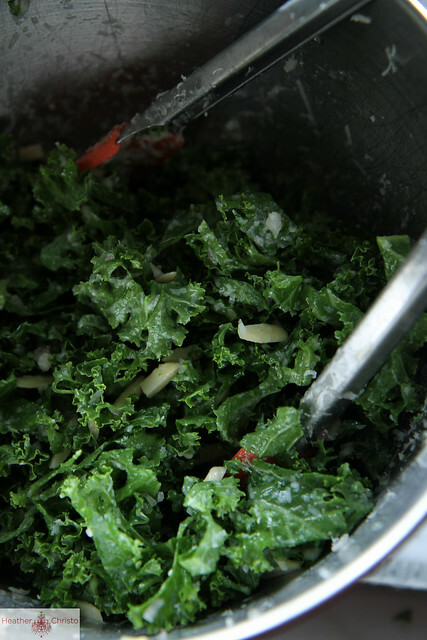 Finely shave the kale, avoiding the stems and add to a large bowl along with the slivered almonds. 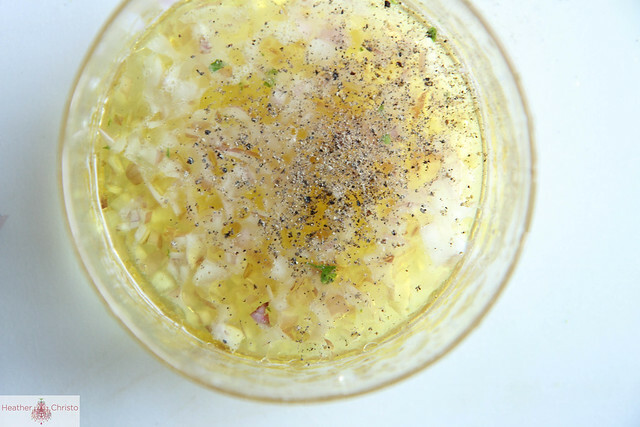 In a small bowl, combine the minced shallots and the lemon juice, vinegar, olive oil and salt and pepper to taste. 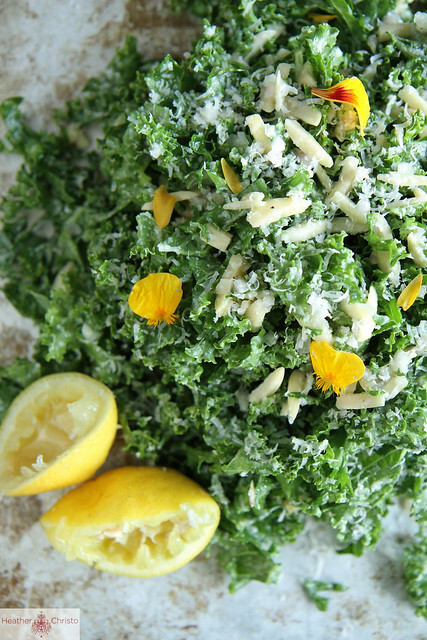 Toss the kale and almonds with the dressing, coating all of the kale. Then add the cheese and gently toss to evenly distribute the kale. Serve in the bowl, or turn out onto a serving platter. Okay, you sold me! I just haven’t been able to get past kale phobia. Will report back! I love the simplicity to this salad! Delicious! Ha, no way! National Kale day? Who knew and I post kale today too! Awesome! Love this salad! Sounds perfect! This salad is just gorgeous.. can a salad be gorgeous? Love the addition of pecorino cheese. I could seriously eat this salad everyday! Beautiful!! Mmm! This looks wonderful, I’m so glad I found your blog… yumm. Thank you so much Ali! me too!! I love kale salads too! 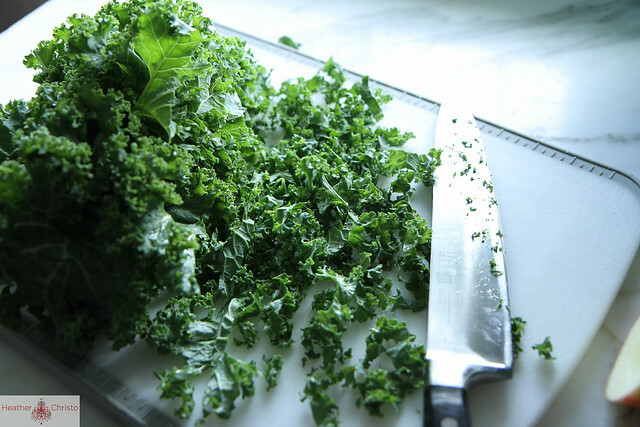 Have you had the massaged kale salad at Serious Pie? Serious yum. This looks so so lovely, I love the addition of almonds! I do a similar salad, but with the addition of green apple. Now I’m craving that very thing. Oh Aimee! The green apple is a good idea! I was also thinking about pear- but I like the sour from the apple idea! This is gorgeous, and I love the flavors! FUN salad & I love the way you styled it too! Kale day?! Yesss! 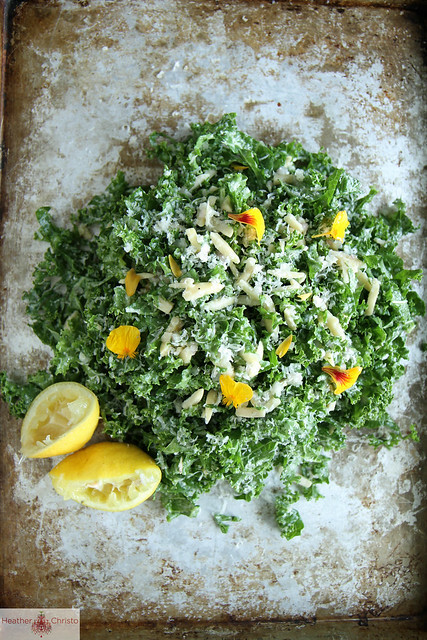 More excuses to eat kale and this gorgeous delicious looking salad! This is something I must make. I love kale!! This looks like the perfect vibrant green salad for fall! I love the idea of adding crunch with almonds. Love how finely chopped this salad is! With lemon and pecorino, this sounds like a winner. I am in love with everything about this salad. I have been on the kale bandwagon for a few years now. I can’t get off. I am obsessed. This salad looks like a total winner!! Love kale! Heather – I made this salad for dinner and Ryan and I both LOVED it. Like SERIOUSLY loved it. It’s one of my new favorite recipes!! This salad looks so good with that lemon shallot dressing & cheese/almonds! I love a great salad – can’t wait to try it! Beautiful! I’m so making this with the loads of chard I have in the garden. That is brilliant Kate- If I had any chard left i would do the same. I have had a chard caesar before and it was awesome! I have never tried a kale salad before, as I was always unsure how to prepare it, but this sounds lovely and bright! Can’t wait to try it! Goody gorgeous salad. An absolutely unique salad. I am sitting down to a big bowl of this salad and have a piece of crusty bread on the side. It is absolutely a divine combination. So happy to have found your blog and this recipe! woo hoo!!! so glad that you are liking it Angela- thanks for visiting! Oh, how I love Barbuto! I haven’t had their kale salad but am sure this is a delicious version of it! Heather – I eat at the same place and immediately tried to recreate the salad. I never knew kale could taste so good in a salad. One enhancement i would recommend. After chopping the kale put kosher salt on the kale to allow it to sweat and soften the kale. 10-30 minutes. Then wash the salt off. That will make the kale softer and breaks down the fiber and makes it less chewy. VERY interesting Matt! thank you so much for the tip! this is fantastic! i had to sub a few things: apple cider vinegar (with the mother) for champagne vinegar and minced garlic for shallot. and i’m vegan so i added 1/4 cup nutritional yeast instead of cheese. it’s delicious! thank you. i cant figure out how you’d shave kale? i just cut it with a knife, please advise, id like to learn a new trick. Hi Terran! I did cut it, but just really, really finely, so I used the term “shaved.” Hope you like it!! First time to try Kale and this salad is so good and refreshing. I could eat this for lunch everyday! Thanks for sharing the recipe…… Love it! I added avocado and traded white balsamic vinegar for the champagne vinegar- it was delicious!!! I am not a believer but you made this salad worth trying…one question would it still be good without cheese? lol! probably not Terra! But there are a ton of other kale salads on here that you should try sans cheese. What kind if flowers did you use to garnish? 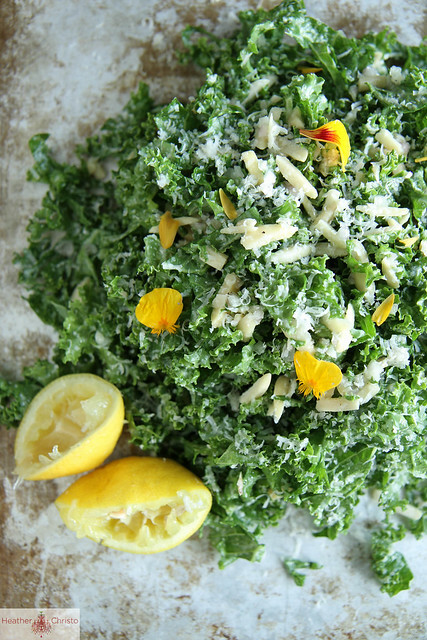 You need to tell clients why is important to add lemon to green kale . Alkalizing or ‘balancing the pH of your body’ will provide your body with a level of nutrition …. On the outside or our body a lemon is acidic, but once consumed it leaves an alkaline ….. All chemical reactions in your body are started by chemicals called enzymes. Made this salad. Didn’t have champagne vinegar and used white wine vinegar; toasted the almonds & added cranberries. It seemed to balance the tartness of the dressing. Added Dijon to the dressing as well. This is absolutely sensational! Will be on the weekly rotation. Thanks! So glad that you like it Sherrill!! What could we replace the champagne vinegar with if we don’t have that? Red wine vinegar or rice vinegar!